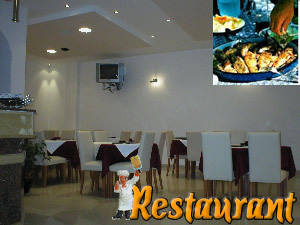 Restaurant offers a variety of good food, many meat specialities and lot of quality wine and other beverages. Visit restaurant, and an abundant menu with traditional food will satisfy your taste !! !